The public vote is over, and the time has come to reveal the names of the 6 winners! It is our great pleasure to share the list of the 6 great winners for the 2016 Blog Awards edition! We would like to thank everyone who voted (1200 persons), as well as the 100 bloggers who competed, and the 18 other finalists for their participation and for the high quality of the articles in each category. We are looking forward to reading your articles during the next 2017 Blog Awards edition– which will also be open in Asia! We would also like to thank our exceptional partner Bernard Magrez, as well as our jury members Xavier Sanchez and Nicolas de Rouyn for their insight. Wine and Technology: Please bring me my wine – Wine and Music Matching… Really? Well done to all! We would like to remind to our 18 finalists who have not been chosen by the public that they will be offered a special format from one of the prestigious Bernard Magrez properties. 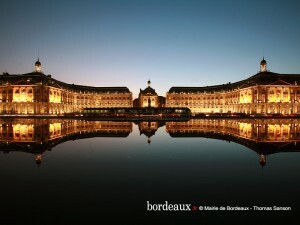 We can’t wait to welcome our winners to Bordeaux, from April 2nd to April 7th, 2016, during the 2015 en primeurs week for a tremendous week full of surprises! Again, from the whole Millesima Team, thank you to everyone for this amazing 2016 edition of the Blog Awards! Pingback: We are going to France!